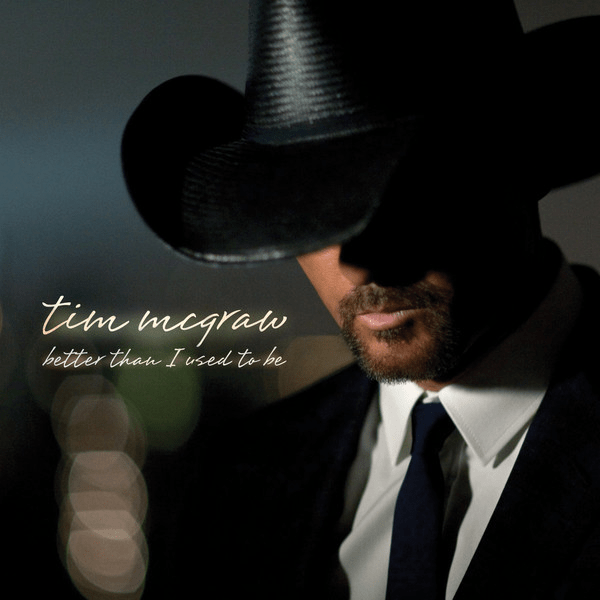 HomeSingle ReviewsSingle Review: Tim McGraw, "Better Than I Used to Be"
Fourteen years later, we’ve had so many thoughtful and compelling records from McGraw that when a new one comes along, it’s easy to take it for granted. Standing in the shadow of “Live Like You Were Dying” is a hard place to shine. But I do have to publicly thank him for the clean, tasteful, and decidedly country production. Any record that doesn’t hurt my ears these days is greatly appreciated. I agree entirely. It doesn’t out-do the best reflective moments of McGraw’s career, but it’s easily one of his best singles of the past few years. And it certainly is a relief to hear a record that’s easy on the ears! I think Tim has really improved though since the days of “Indian Outlaw” and “Refried Dreams.” Those songs sound so corny, and quite frankly, so country, that they are hard to listen to. I appreciate the more mainstream and more sophisticated McGraw that emerged in the 2000s rather than the early McGraw. Unfortunately, Kershaw doesn’t still have the radio presence that McGraw does. I agree that Kershaw’s version is superior, though McGraw’s is solid in its own right. It is a shame that Kershaw released the song at a point in his career at which he no longer had the commercial clout to make it a hit. I like the song a good bit. I just have a hard time supporting it under the circumstances it was released. It just seems wrong that Curb would stand to profit from a song like this when they’re likely responsible for a good bit of the lesser music we’ve gotten from McGraw in recent years. I believe McGraw has stated that he will be releasing his own single shortly. It will be interesting to see what happens if two McGraw singles are competing on the charts at the same time. Thank you, Keith and Ben, for acknowledging songwriter Sammy Kershaw’s own beautiful rendition of this song. As much as Tim’s is pretty faithful, Sammy’s version is even more emotionally raw and real. I absolutely love it, and kind of protectively dismissed Tim’s on first hearing. Still, I must admit it’s faithfully presented and very likely to move folks to love it. I agree with you Ben, about radio access. Heck,last year when Sammy’s came out, I only heard it here in Louisiana on the Lafayette stations, and not once on the Lake Charles ones. Now that’s a regional market, and not in a good way. :(. I know Sammy will get some nice coin for this surefire hit (but I still wish he’d had that success with it himself). At any rate, I’ll give Tim high points for for excellent taste and a very good job. Forgot to add, many thanks Keith, for posting the link to Sammy’s version. Now you can ALL wonder why radio didn’t bit on this one! Rowdy – Kershaw didn’t write this song, so he won’t be making any money off of McGraw’s version. However, it’s such a heartfelt performance that it seems like he did. Huh. Thanks a lot, google! Some ambiguous wording in some of those hits I got…I wuz confused!